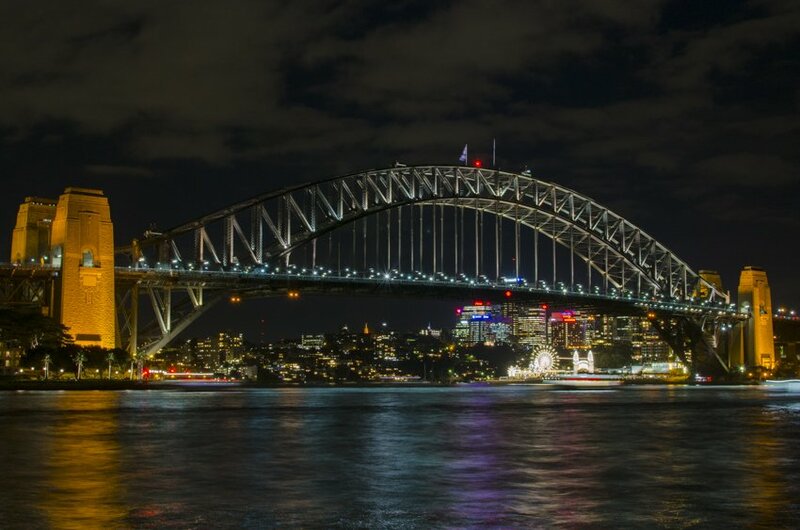 This is a hard list to compile as there are so many great things to do in Sydney regardless of whether you are visiting for the first time or are a local, the choice is endless. Ok, I’ll admit, I am maybe a little bit biased when it comes to Sydney this is why we engaged the help of others to help compile this list. 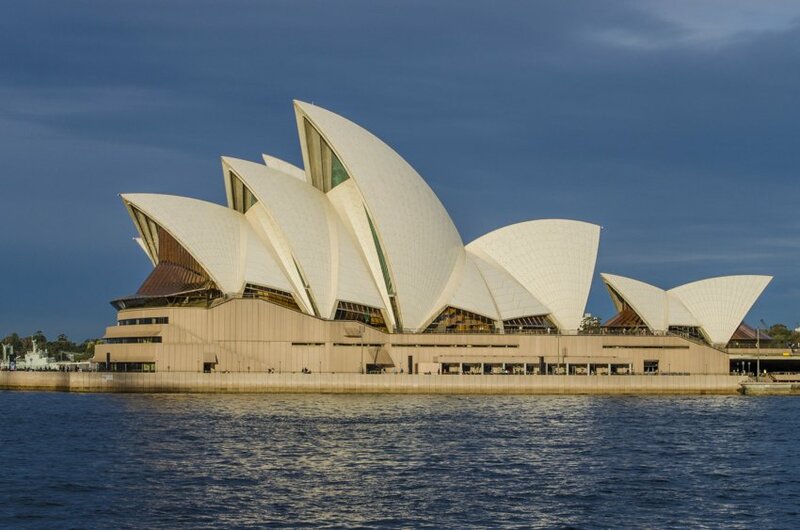 Even though Australia is a young country and may not have much of the historical background as other countries, Sydney has much to offer in other aspects. However let’s be honest, Sydney is expensive so we have included some cheaper, and even free, activities that are just as good as the ones you have to pay for. Some of the activities below we did on our recent trip to Sydney and others are suggestions from friends (aka locals). The list is in no particular order. We did this walk a couple of days after arriving in Sydney recently and it certainly made a good first impression on David. The views are absolutely spectacular and it’s free! It is a clifftop coastal walk through the Eastern suburbs of Sydney. It is rated as a medium grade walk but as long as you don’t have major physical problems then you will be fine. We started at Bondi and made our way along the coast to Coogee but you can of course do it in reverse. Starting at the world-famous Bondi Beach we walked to the southern end towards Icebergs, a fantastic café and restaurant, and just followed the path. 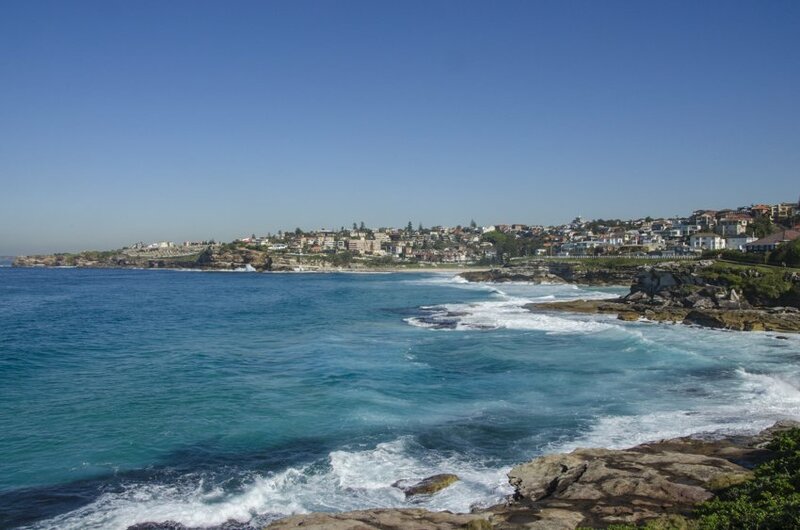 Along the way you pass through Tamarama Beach, Mackenzie’s Point, Bronte Beach, Waverly Cemetery – surely the cemetery with the best views in the world, Clovelly Beach, Gordon’s Bay and finished at Coogee Beach. We were blessed with brilliant Sydney winter blue skies which made the views even more outstanding. It took us around 2 hours to complete the walk at a slow pace and stopping to take A LOT of photos. We rewarded ourselves at the end by having lunch in Coogee with a friend at one of the many cafés there. 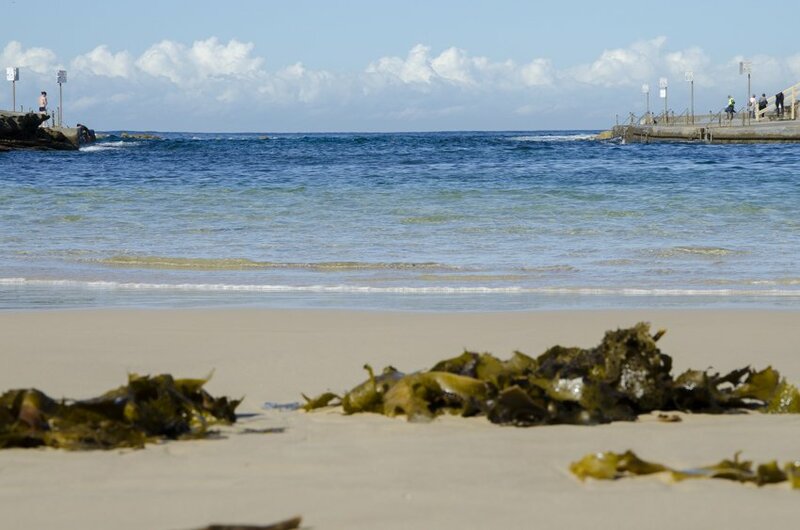 The walk allows you to appreciate the blue-green clear waters along the coast, the fine yellow and almost white sands at each bay, the multitude of greens of the Australian bush and the various browns of the rocky cliff faces. You will also go a little green with envy at the residences along the way that have the pleasure of the stunning ocean views 24/7. It does get busy on weekends and during summer so if you can find time to go mid-week during working hours you won’t have to fight hoards of others for the views and will be able to take plenty of uninterrupted photos along the way. 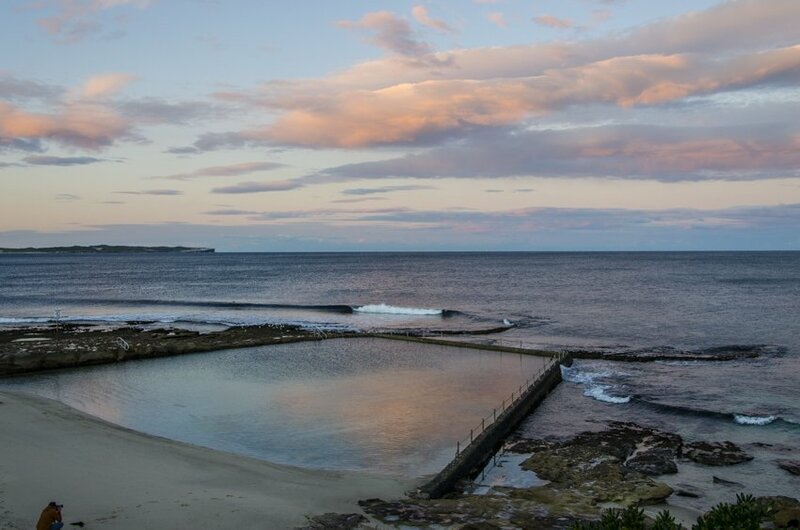 If this doesn’t quite satisfy your inner photographer then you can continue the walk south to Maroubra and Malabar. Another walk that comes highly recommended is the Spit Bridge to Manly walk. 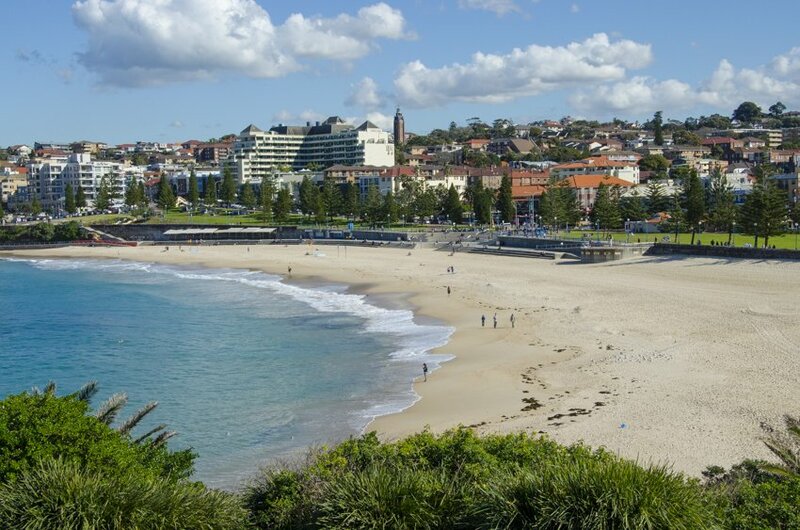 This is a 10km walk through some of the coastal northern suburbs of Sydney. You can then catch the ferry back to Manly, see option 10 for more on this, which is a tourist attraction on its own. 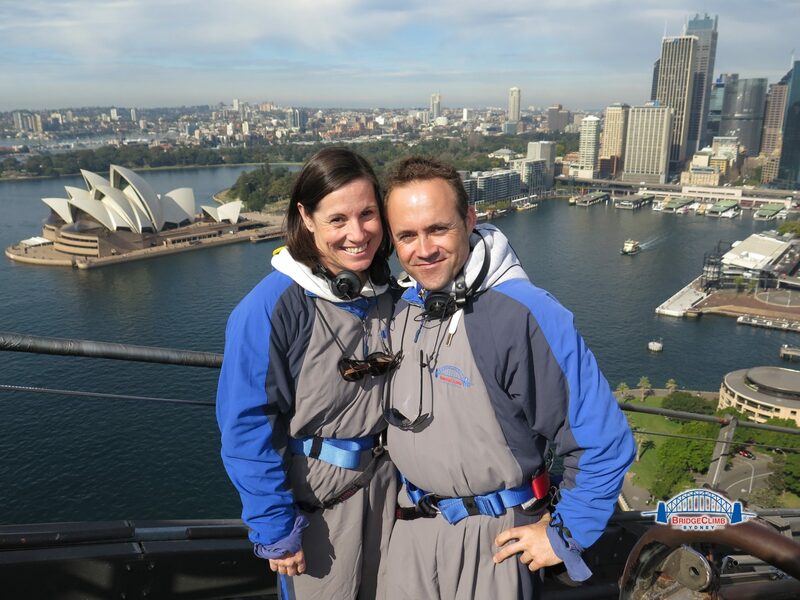 The Bridge Climb is not cheap but if you splurge on one thing while in Sydney we would recommend the Bridge Climb. There are various guided walks along both arches of the Sydney Harbour Bridge that provide spectacular views of both sides of Sydney harbour. It is completely safe and they are very thorough with their safety procedures. The only down side is that you cannot take your own camera up for safety reasons. They do take photos of you along the way but of course you have to pay for them. In some ways it is nice not to have a camera and just appreciate the brilliant views as you ascend and descend the arches. Even if you feel a little nervous about heights we cannot recommend enough that you get out of your comfort zone and feel on top of the world. Sydney has a wide range of markets that are on daily to a couple of times a year. There is everything from the iconic Fish Markets to Second-hand markets to organic markets. My favourite market to visit is The Rocks Markets in The Rocks funnily enough, near the Harbour Bridge. They are open every Saturday and Sunday and are filled with original wares that are normally made by the stall holder. I rarely come away empty-handed. You can find everything from unique dresses to hand-made jewellery to some classier souvenirs than you find in the average souvenir shop to original art work to some delicious food. I cannot stress enough how great Sydney is for finding a market that suits you. Just search online for markets in Sydney and you’ll find one that caters to your needs. Sydney offers everything from Michelin star restaurants to cute cafés and everything in between. We will be honest, it is expensive to eat out in Sydney but the food sure is good. Many cafés and restaurants are willing to cater for any food intolerances or allergies as well as preferences. Many of the places we recently ate at identified gluten-free, dairy free and vegetarian items on their menus. 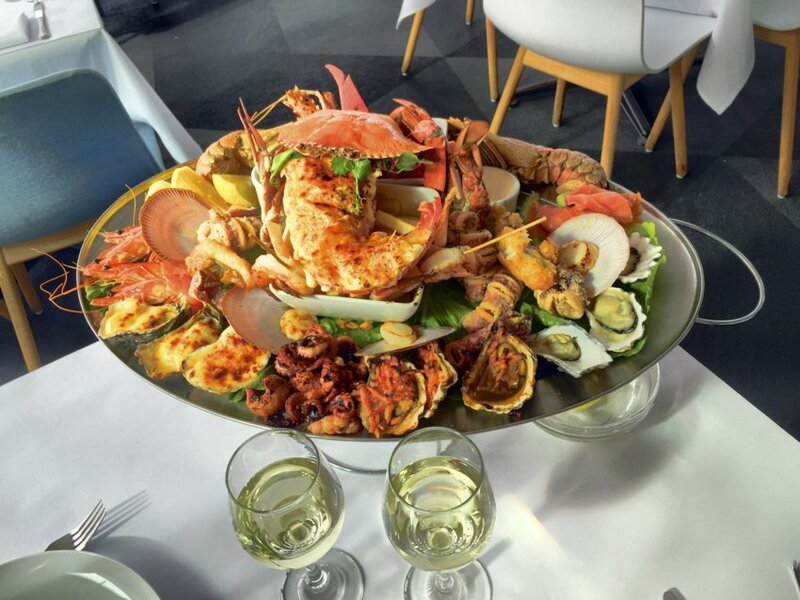 It’s hard to go wrong with seafood in Sydney as it is usually caught that day though a good steak is also recommended as it is usually home-grown. However, there are plenty of different types of restaurants worth eating at since Sydney is such a multicultural city, you get the best from all over the world. One of my all time favourite places to go is The Opera Bar which is surprisingly just below the Opera House. In the same vicinity is the Opera Kitchen. You can eat at both places but you can’t beat a nice cold beer or a delicious cocktail while watching the sun set over the city, with the Harbour Bridge right in front of you. Do you like how I slipped in a bar in this section under the guise of you being able to eat there :-). Throughout the year Sydney offers a tonne of free annual activities where you can just look or if you can’t resist the smell of freshly made coffee or the mixture of authentic Asian dishes then you may be forced to fork out some dollars. Vivid Sydney has become a crowd pleaser over recent years and now attracts millions of visitors each year, normally at the end of May to the beginning of June. 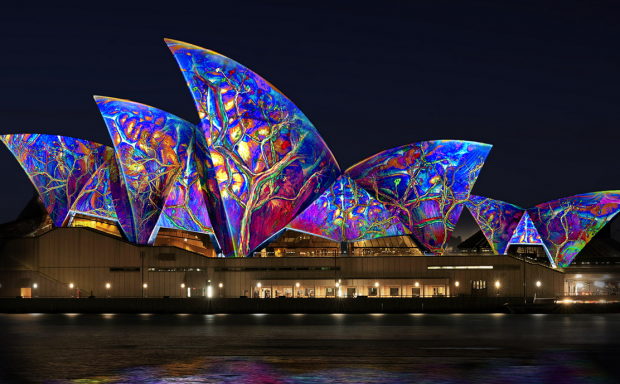 A colourful and technically impressive light show is projected onto many of Sydney’s icons, such as the The Sydney Opera House and Customs House, around Circular Quay. Unfortunately we have never been in Australia when it is on and instead have to be happy with the hundreds of photos and videos that are posted on social media. The Aroma Coffee Festival is usually on a Sunday in July in The Rocks. Definitely one for all of you coffee addicts, I don’t drink coffee. It’s a little bit like a wine tasting for coffee lovers. There are plenty of activities and workshops organised as well food that has coffee elements to them. The weekend we were in Sydney this visit there was the Bankstown Bites taking place. Unfortunately we ran out of time to visit it but did see a mouth-watering news report on what it is all about. Bankstown and its surrounds is a very multicultural area of Sydney and the festival is about show casing all of the different foods from people in community. Definitely one for the foodies! Sculpture by the Sea is normally on at the end of October until the beginning of November. Again, in recent years it has become very popular so we would highly recommend you use public transport. 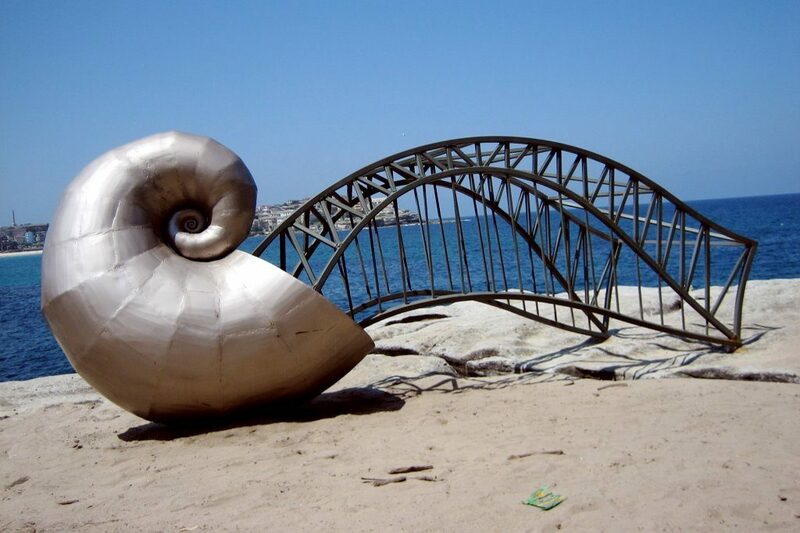 It is an outdoor art exhibition, that is free, between Bondi and Tamarama beaches along the coastal walk. Work from both Australian and overseas artists are integrated into the environment and are often incredibly original. We would recommend this exhibition even if you are not normally an art gallery enthusiast. During October, in Hyde Park in the middle of the city, the Night Noodle Markets are held. A great place to go for a bite to eat after work or a long day of sightseeing. As the name implies there is certainly an Asian vibe to the Night Markets. You experience the smells, sounds and sights of a typical Asian market anywhere in South East Asia all under a usually pleasant spring Sydney sky. Above we have just touched the tip of the iceberg. No matter when you are in Sydney it is highly likely there will be something happening. 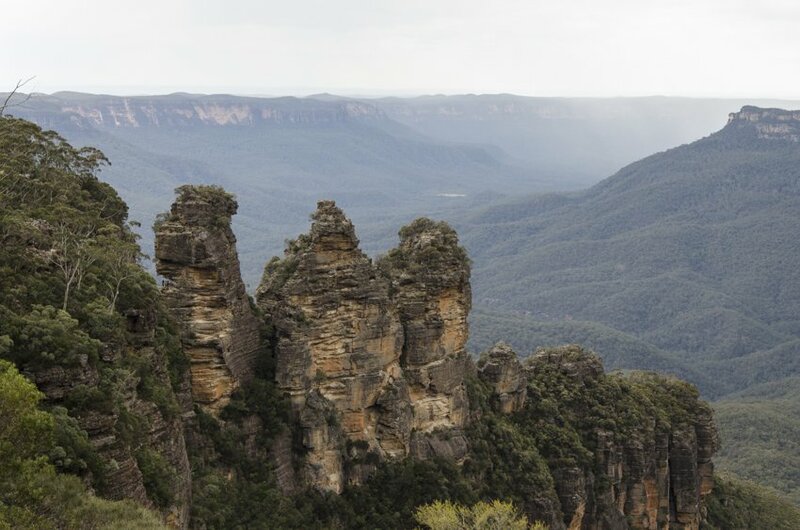 If you have the time a trip to the Blue Mountains is highly recommended whether you are into hiking or just admiring some gorgeous natural beauty. It would certainly be easier if you have a car in order to easily go from one lookout to another but there is a train line that takes you to the major towns. The Blue Mountains are so-called because of the blue hue that is emitted from the thousands of eucalyptus (gum) trees that are in the Blue Mountains national park. There are plenty of hiking trails of various levels of difficulty for those of you who like to get a little bit more up close and personal with nature. We stayed a night in Katoomba with some friends which is a quaint little town stuck in a little bit of a time warp but filled with charm. We would highly recommend The Yellow Deli for a delicious and reasonably priced brunch. The Carrington Hotel has an old world charm that is a great place to go for a cocktail. 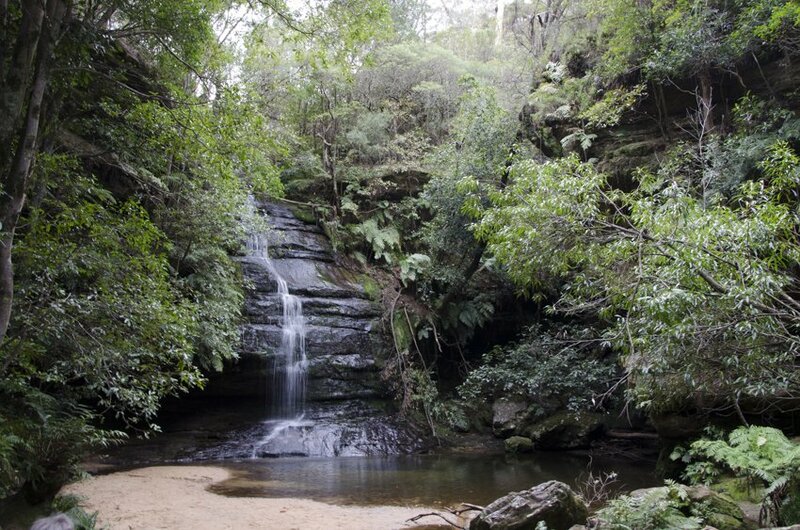 If you don’t want to make the trek up to the Blue Mountains, a trip to one of the national parks around Sydney may be more convenient. Cronulla was the last place I lived before moving overseas so on our recent trip to Australia I was very keen to show David my old hood. 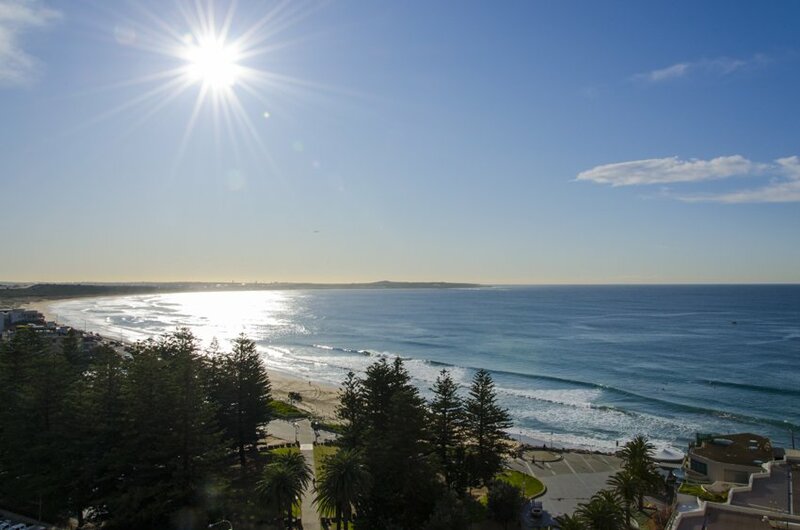 Cronulla and The Shire (no not the one from Lord of the Rings) gets a lot less attention from the tourists and the locals are fine with that. In summer it is buzzing as are all of Sydney’s coastal suburbs but in winter it is a lot quieter, however thanks to Sydney’s mild winters still has a lot to offer. A walk along the well-known Esplanade is a well-worn track for both joggers and walkers. You can take in uninterrupted views of the Pacific Ocean, watch the local surfers catching some waves (which David was fascinated with), watch the planes coming into Sydney airport, if you’re lucky watch dolphins and whales frolicking in the ocean, enjoy some delicious food at one of the many cafés or restaurants, go paddling in the puddles of water left over from high tide in search of weird and wonderful sea creatures, go swimming in one of the many rock pools (a sea water swimming pool), as well as just enjoying being outside with Mother Nature. Most of the beaches along the way have parks where you can have picnics and even barbecues. As already mentioned Cronulla is filled with quality eateries. Some of my favourites are Sea Level and Sea Salt for fresh local seafood. David and I recently had an amazing seafood platter for two at Sea Level. I’d talked it up big time to David beforehand and fortunately he was suitably impressed. We also went to another local favourite for breakfast called Alley Break. They have a good selection of breakfast dishes, including vegetarian and gluten-free options. On the second day we went to Nulla Nulla for another amazing and generous sized breakfast, again with enough variety for all tastes. We met some friends for dinner at The Banyan Tree, a Thai restaurant, that was authentic as well as very generous portions. A trip to Bundeena on the ferry is a nice way to feel like you are escaping the rat race for a few hours and there are some good places to eat once you arrive. The ferry leaves not far from the train station. There are plenty of places to lay a beach towel and just relax in the sun. If you want more ocean swimming then the main stretch of sand at Cronulla is probably the place for you. However if you want to lie on the sand with a good book then there are a plethora of small secluded beaches to chill out on. Cronulla is the only beach in Sydney that is directly accessible by train. Many of Sydney’s galleries and museums are free, sometimes the special exhibitions are at additional cost. At the time we visited in July the Archibald exhibition was taking place at the Art Gallery of NSW. This is a competition for portrait artists and commonly the portraits are of well-known Australians. Another favourite of mine at the Art Gallery of NSW is the best of the HSC submissions. This exhibit showcases the best work from grade 12 art students each year, the talent is mind-blowing. As already mentioned, there are plenty of galleries and museums to keep you occupied if the weather is not ideal for being outside. During the summer season there are a growing number of open-air cinemas around Sydney. Some show new releases, others show the old classics. Either way, it’s a great night out under the stars with your loved ones. The most spectacular is St George Open Air Cinema at Mrs Maquarie’s Chair in the Botanical Gardens. You can’t beat the view overlooking the harbour and the Opera House and Harbour Bridge in the background. Some of the cinemas are open well beyond what is technically the summer months so check out local guides or online. 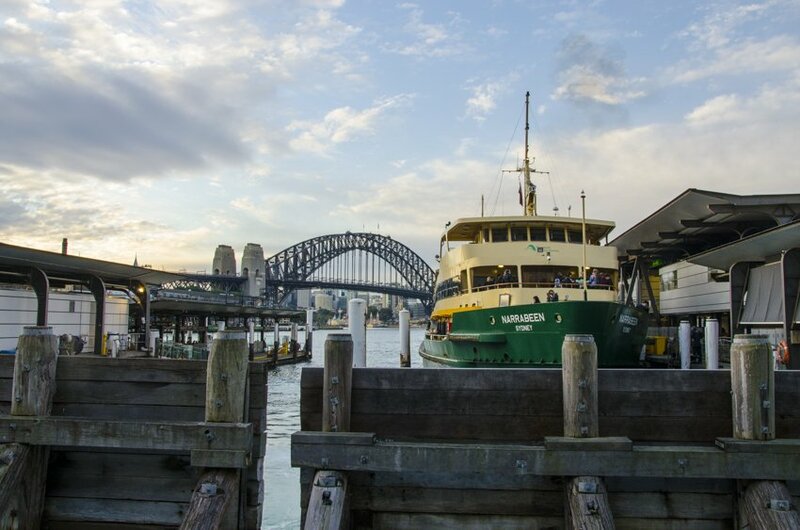 The best way to see the best of Sydney is to catch a ferry to Manly. It allows you to get up close and personal with the Sydney Opera House and a one of a kind view of The Harbour Bridge. By taking the ferry to Manly you get to see all of the small bays that lie within Sydney Harbour. The ferry takes you out to the headlands where it opens up to the ocean and then turns into Manly mariner. 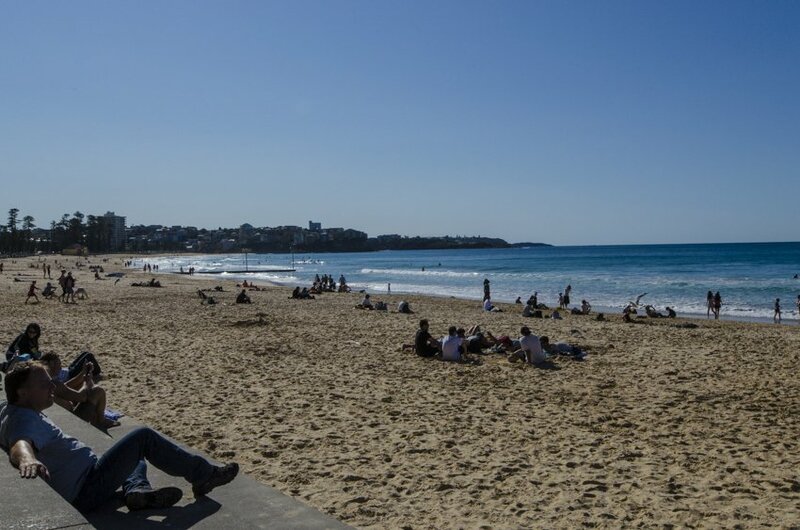 Manly is another beach suburb to the north of the city centre that possess that typical relaxed beach vibe. There are plenty of places to eat on both the mariner and beach side. If you are time poor then a ferry ride to Watsons Bay is a close second to the Manly ride. Watsons Bay is a relaxing place to walk around and experience a typical beach side suburb with some great restaurants. 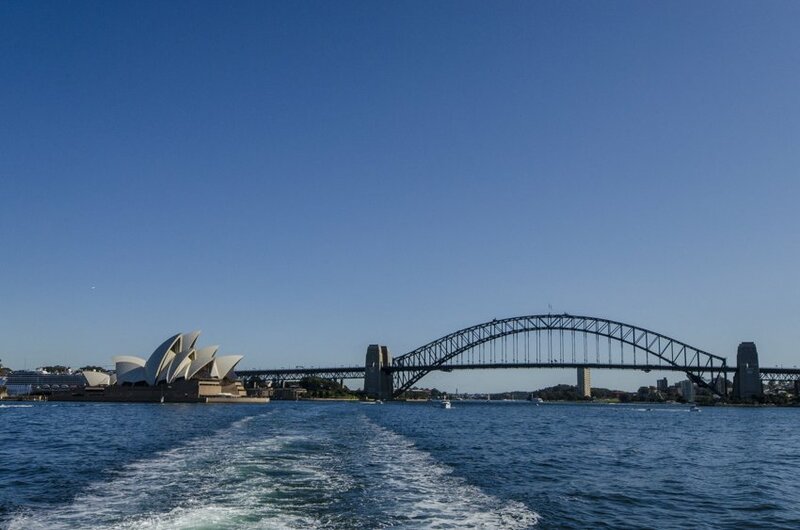 An even better way to experience Sydney from the water is to hire a boat and go for a sail east and west of the Harbour Bridge. Of course this is not a cheap option and will cost even more if you don’t know how to sail the boat on your own. Palm Beach. Another beautiful beach suburb on the Northern Beaches that comes highly recommended. Taronga Zoo. If you are into zoos then you probably won’t find one with a better view. You can catch the ferry and admire Sydney Harbour as you walk around the zoo. Luna Park. You don’t have to be into theme parks to enjoy Luna Park. 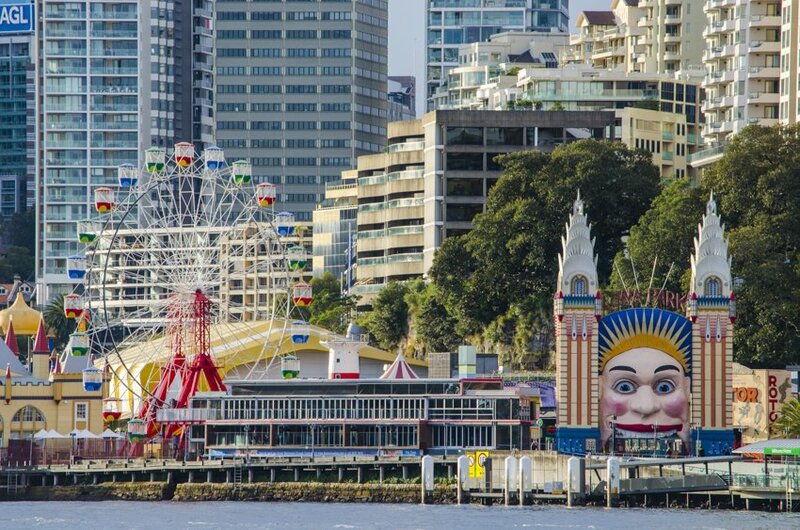 We would recommend that you walk across the Harbour Bridge to Luna Park to gain a different perspective of the city and take some fantastic photos. Catch a show. You can see everything from opera to theatre to dance to comedy to musicals. You name it, there is a show of that genre happening in Sydney. Don’t be afraid to venture out to some of the inner city suburbs as there are some great venues. Shop. Those who know me know how addicted I am to dresses and shoes. Sydney has plenty of great department stores and original boutiques. I never leave Sydney empty-handed :). High Tea. Ok we know this is not unique to Sydney but there are some great places to pretend to be a bit posh for an afternoon. There are plenty of places that offer high tea in Sydney. 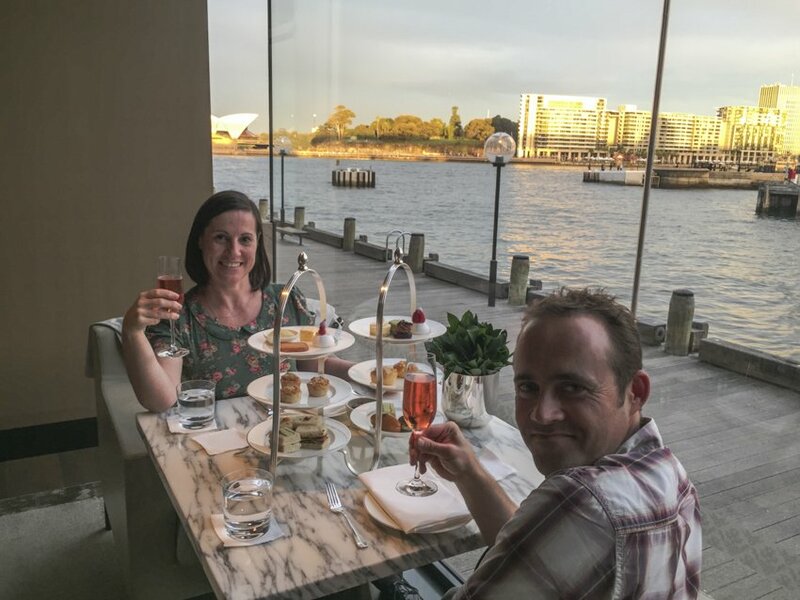 We would recommend the QVB (Queen Victoria Building) tea rooms for that classic old English vibe or the Park Hyatt Sydney for magnificent views and faultless service. Centerpoint. Apart from the great shopping on the lower levels you can’t beat the view from the top of Centerpoint Tower. 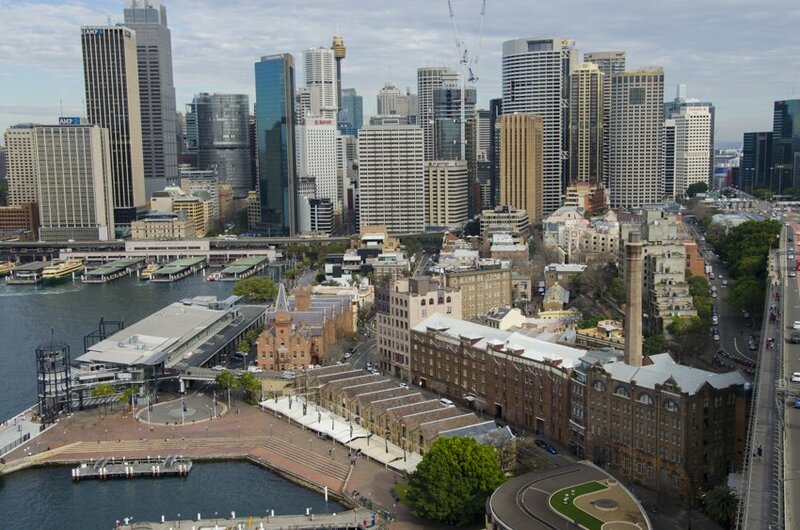 Check out some of the inner city suburbs such as Balmain, Newtown and Darling Harbour. Music and film festivals. There are plenty around, especially in summer. Concerts in The Domain. These normally happen in summer and are often free! As part of the Sydney Festival in January there is Symphony in the Domain and Jazz in the Domain to name two. Grand Pacific Drive. 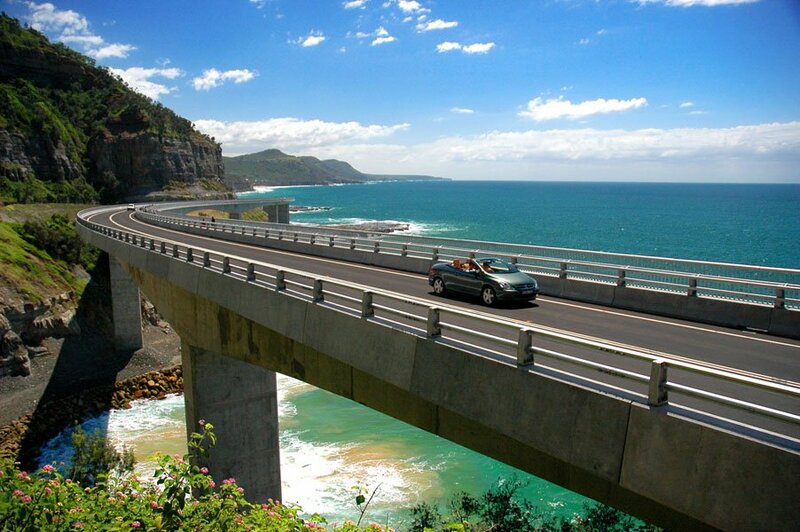 This is a great day trip down the south coast of Sydney. There are plenty of places to stop along the way to appreciate the views or grab a bite to eat. As you can tell, Sydney is very much about the coast but you can also find some gems in the suburbs as well. Is there anything else you are interested in with regards to Sydney? 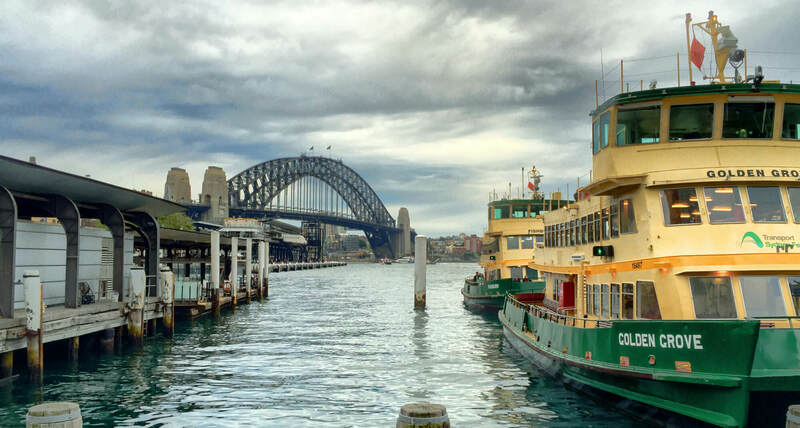 Have you been to Sydney or do you live in Sydney and have more great tips to share? Just hit the ‘Leave a Comment’ link at the top of the page and let us know! 2 Comments on “Top 10 things to do in Sydney recommended by locals”. Join the Conversation Here!